Raymond Cheung, an Audit Shareholder at Geffen Mesher and the leader of the firm’s M&A Transaction Advisory team, recently participated in a Thought Leader Forum hosted by the Portland Business Journal. The topic of discussion was the world of mergers and acquisitions and the challenges, best practices, and players associated it. Portland-based investment firm Arnerich Massena, an independent investment advisory firm specializing in endowment & foundation, private wealth management, retirement plan consulting services, and impact investing strategies, announces the publication of a new white paper: Women in Investing: Why balanced gender representation on your advisory team helps lead to success. While other industries are beginning to see a greater balance between men and women, the financial services industry continues to be heavily male dominated. This paper discusses why the investment industry would benefit from including more female financial professionals and how to foster that change. The white paper takes a deeper look at how significant the gender disparity is in the investment industry and some of the reasons the imbalance has remained so pronounced. The discussion then focuses on why we need women in the financial services profession and what the industry can do to help promote this. The paper is intended to provide real solutions that will be of long-term benefit to financial services firms, their clients, and the industry itself. Arnerich Massena is 100% employee-owned, with 52% owned by women; the firm was listed among the top 20 largest women-owned firms by The Portland Business Journal in 2018. The company’s executive leadership team is evenly divided between men and women. The firm’s overall investment advisory team is 45% female, with the wealth management advisory team comprised of 50% women. A downloadable version of Women in Investing: Why balanced gender representation on your advisory team helps lead to success is available at http://arnerichmassena.com/Research-Resources/. Geffen Mesher, a Portland-based accounting firm, has big plans for its International Women’s Day (IWD) celebration on March 8, 2019. The day itself is a focal point for women’s rights around the world. Driven by the firm’s Women’s Leadership Initiative (WLI), Geffen Mesher will use the celebration to build awareness on gender-specific challenges and issues — especially within the context of a male-dominated industry like accounting. 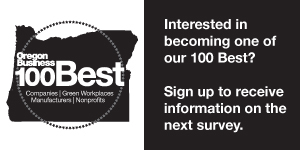 Portland, OR - American College of Healthcare Sciences (ACHS), an accredited, online integrative health college based in Portland, Oregon, has been chosen as one of 2019 Top 100 Best Companies to Work For in Oregon by Oregon Business Magazine. Portland-based investment firm Arnerich Massena, an independent investment advisory firm specializing in endowment & foundation, private wealth management, retirement plan consulting services, and impact investing strategies, announces that the firm has become a signatory of the United Nations-supported Principles for Responsible Investment (PRI), a public demonstration of the firm’s commitment to responsible investment. PORTLAND, OR – February 21, 2019: Geffen Mesher, a Portland-based accounting firm, has big plans for its International Women’s Day (IWD) celebration on March 8, 2019. The day itself is a focal point for women’s rights around the world. Driven by the firm’s Women’s Leadership Initiative (WLI), Geffen Mesher will use the celebration to build awareness on gender-specific challenges and issues — especially within the context of a male-dominated industry like accounting. In 2013, less than 20% of the nation’s CPA firm partners and principals were female. As a result, Geffen Mesher formulated its WLI in an effort to address gender inequity, especially among the firm’s leadership. The WLI has been championed by many within the firm, including Carlgren. In the six years since its establishment, Geffen Mesher’s WLI has implemented many initiatives including a leadership development program and a semi-annual women’s leadership event. Additionally, the WLI has spearheaded firm benefits programs such as customized work arrangements, a parental leave policy, and a working moms group. The Working Moms group creates a much-needed forum where working parents can share ideas, brainstorm best practices, and find emotional support in their bifurcated roles of parents and professionals. Now, in the midst of the #MeToo era, the firm has doubled down on its valuable work. In January 2019, Carlgren transitioned her leadership to Emily Bradford, an Audit Senior Manager at the firm. Geffen Mesher is aptly poised as an industry leader to generate widespread positive change, having served the Portland community for more than 85 years as its premier CPA firm. Today, the firm boasts 137 employees, with over 100 professionals on dedicated tax and audit teams. With a powerful local presence, Geffen Mesher is also an independent member firm of the DFK International organization, which provides access to more than 220 member firms in 92 countries and every region of the United States. The International Women’s Day celebration on March 8 is one of many upcoming events hosted by Geffen Mesher’s WLI. The momentum around IWD bolsters the WLI’s mission to combat workplace sexism and gender bias, even if that means broaching uncomfortable topics. About Geffen Mesher: Geffen Mesher, a Portland-based accounting firm, focuses on providing ongoing financial strategy, accounting, and CPA services for businesses and high-net-worth individuals. We serve many industries and create solutions that help our diverse clientele plan and build their financial pictures wisely. For more than 85 years, our focus has taken us beyond the numbers and into the lives, plans, and strategic goals of our clients. In providing professional tax, financial and business consulting, and reporting, we have successfully guided our clients through booms and busts, recessions and recoveries, with an approach and model built around the commitment of our people, decades of experience, and expertise across a wide range of industries.